It's a tale as old as time -- but now we have iPhones to capture the magic! 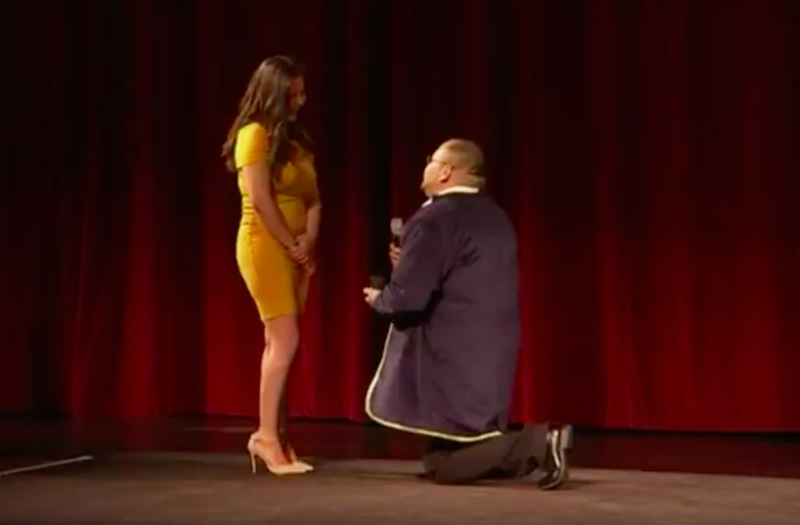 A man dropped to one knee at a screening of "Beauty and the Beast" this week, much to the shock and delight of his girlfriend. The proposal took place at Walt Disney Studios's El Capitan Theatre in Los Angeles at the film's very first public screening. More than a thousand audience members cheered and applauded as the man asked, "Would you be the beauty to this beast?" She nodded, and he slipped a ring onto his lady's hand. The brunette beauty gave off Belle vibes herself, dressed up for the occasion in a fitted gold dress.